It really does everything listed on the label and is one of my favorite domestic helpers. The small tin receptacle inspires wistful recollections of a time when people fixed things instead of replacing them. Unfortunately the old design but has been discontinued. The new packaging is a generic plastic thing, indistinguishable from other items on the store shelves. 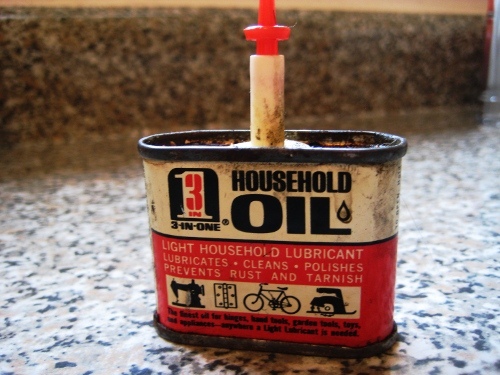 Household oil tip: use the oil to lubricate older style wooden drawers. Place a few drops on the bottom of the drawer, where it rubs against the cabinet, for smooth sliding. You are right, the truth is so simple! It’s everything it says it can do.